The plans for this project is to plant 20 trees for each member. 5 primary schools will be chosen. NB: The reason for this project is to encourage the youth to make a difference in the environment. They will be responsible for watering and caring for the plants to promote growth. The planting of these trees are one step closer to a cleaner and safer environment for wildlife and for the health and enjoyment of future generations. The aim for this 2 days training session is to help grow the member’s along with others leadership and professional skills. The training will take place around World Rotaract Week in March during the clubs retreat. The idea is to send out invitations to a few members around the district as well as outside of the district. To provide a clean, safe and fun environment for everyone in the community. To encourage socialization among the community members. To enhance the beauty of the community. It is our intention to adopt a park that would have been dilapidated over time and bring it back to life. This will be done by painting the fences, planting trees and flowers, adding benches and any other item that would uplift the area. Target Group: Our intentions are to target grade five students from both government and private schools across Antigua and Barbuda. To educate the community on the ways by which they can have a sustainable lifestyle. To provide persons with basic food items necessary for sustenance. To promote the movement towards the eradication of world hunger. 1.To provide students with the basic school supplies necessary for learning. Project Name: "Languages far and wide"
To bring awareness of other languages and cultures of our fellow district clubs. To encourage inter- club communication with committee counter parts geared towards getting fresh perspectives and views. This project is geared towards raising awareness of different cultures and their languages to the clubs members of the various other clubs in our district. Send out offers to other clubs in the district to partner with us. Each club would put together a small package with cultural items. Short video of so local terms or twangs used should be include in the package. Package is opened at meeting and the club enlightened as to the packages received from various clubs. Thank you video done for each club who sent something. - Assist one family in need in as many sections of the district as possible. - Collaborate with all the clubs in District 7030 to accomplish this aim. Target Group: As many of the clubs in District 7030 as well as the Interactors and respective communities. This project will be a fun and exciting chance for all the clubs to extend their service through passion for our community. It is designed to include our interactors as well, so that we can have camaraderie with them while assisting someone in need. Each club will select a family in need. The clubs will organize a fund raiser of their choice in an attempt to raise fund for the donations. Each club must take pictures of their donation and send to us, so that we can put together a final album. All the donations with be done on the same day in the spirit of togetherness. Project Details: This project is a simple and easy way to unite Rotaract Clubs and its members within District 7030 and is also an excellent platform to promote the Rotaract cause. 1.Administrators of the Rotaract Club of Antigua will send out an invitation to Rotary Clubs within the District 7030 to participate in the quarterly photo completion, entitled “Peace and Passion for Poignant Service Photo Competition”. 3.The pictures that are submitted will be uploaded to a designated album. 4.Members will be afforded the opportunity to vote for the photo that they believe personifies the theme, by ‘liking’ the photo. 5.The photo at the end of each quarter with the most ‘likes’ will be awarded some form of contest branded certificate. To communicate the knowledge of “Healthy Eating Habits” to persons within Antigua and Barbuda. To bring persons up to date with the necessary methods they can take, to have a healthy life style. To distribute food packages to less fortunate. Project Duration & Timeline: The Proposed date is tentatively set for April 2018. To educate people on the importance of having insurance. To bring awareness to the long term benefits of insurance. Project Duration & Timeline: The Proposed will be set during the second quarter. To teach members about the different trade skills that is outside of the regular white colour jobs. To bring about a level of appreciation for other area of expertise that gives persons monetary security. Project Details: With this project a few persons will be asked to come in and teach members of the club along with interactors how to do the basic aspect of different trade/skills. To name a few; making of hand bags, baking cake or pastry. There is still other trade to be proposed, so it will be appreciated by the members. Project Duration & Timeline: This project will be carried out throughout the Rotaract year. To increase togetherness, good communication and team working skill amongst members of the RRI family. To expand and retain the membership of the club. To show the importance of sportsmanship and having fun. Project Duration & Timeline: During Charter Week i.e. the week with the 5th of December 2017. 2.To unwind and break free from the computerized world and enjoy nature. Project Duration Time Line: This project will be held in the 4th Quarter of the Rotaract Year during Easter Holiday, from the Saturday to Easter Monday. To increase the awareness of the club within the community. To educate the public on the importance of health and fitness. To demonstrate fun ways in which you can exercise. Project Duration & Timeline: The Proposed date to be announced. Recognise and celebrate the birth of Rotaract. To strengthen the bond between the guest, prospective member and the members of the club. Project Duration & Timeline: 9th to 11th March 2018. Provide refreshments for Children and attendants on the 2 Saturdays of competition. Target Group: Children and attendants at the Spelling Bee competition. Raise finances for the Club. Create awareness of the Club among the general public in Antigua. 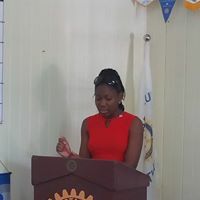 To create unique items that will make people in Antigua aware of the Rotaract Club of Antigua brand. To market the Rotaract Club of Antigua among District 7030 members. To raise funds for the Rotaract Club of Antigua. Target Group: The Antiguan public and Rotaract members of District 7030.